We are back from our trip to Morocco and I just wanted to let you know that the trip DEFINITELY exceeded our expectations! In my experience, it is rare to plan a trip and at the end feel that if you were to do it again, you would do it the exact same way. 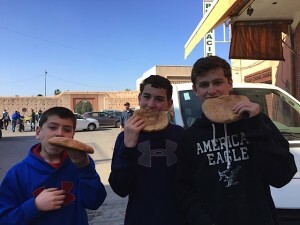 But this is precisely how we felt about the nine days we spent in Morocco with our three teenage sons and I believe the credit for that goes to you (Kit) and the others at Morocco Tours/ExperienceIt! Tours who helped us design a trip to meet our needs. 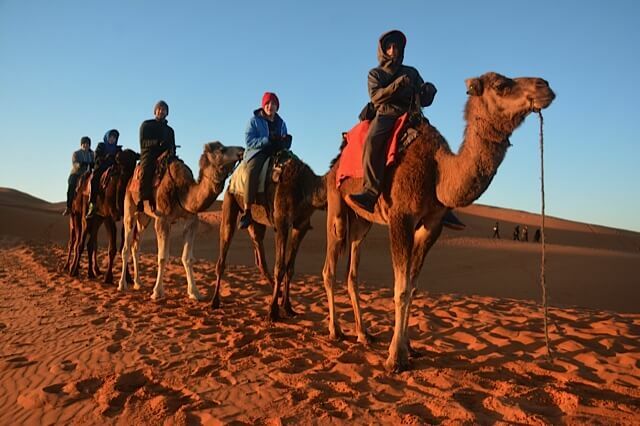 We would highly recommend Morocco Tours to anyone interested in visiting this beautiful country and have already passed the information on to some of our friends! Some highlights of our trip were: spending a cold but memorable night in the Sahara desert (including a sunset camel ride); exploring the narrow alleyways and shops of the medinas; feasting on delicious bread and tagines; learning to make pottery with local artisans; visiting the Djemaa-el-Fna in Marrakech and enjoying the best orange juice we’ve ever tasted; and a day trip to Imlil where we went hiking and experienced an authentic Berber lunch amidst the beautiful snow-capped mountains. 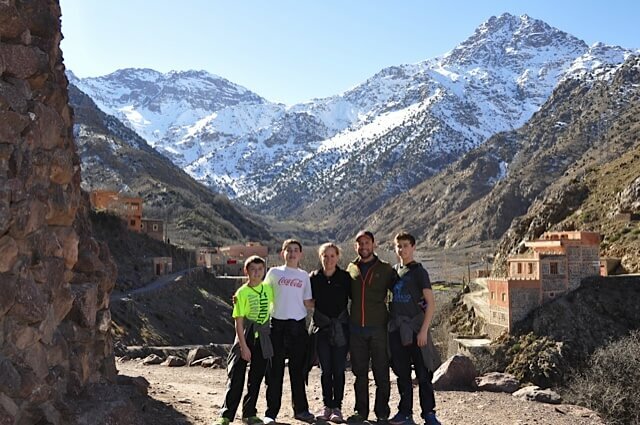 But for our family the biggest highlight was the time spent exploring Morocco with our wonderful driver, Khalid. The stories he shared and the conversations we had as we made our way around this beautiful country really gave us a sense of Morocco, its people and its history and will stand out in my mind always as the highlight of our trip. Thank you for the memorable experience & enjoy the pictures!